After five mouth-watering weekends of Six Nations Rugby, Guinness PRO14 Rugby returns this weekend. After Wales’ magnificent win over Ireland to seal the Grand Slam, the Irish contingent will be particularly keen to take out their frustrations this weekend, however, almost all of the men in red who were involved at the Principality Stadium on Saturday will be happy enough to play against their international teammates as two big derbies mean no Welsh player has to depart a nation in celebration this week. In the Conference tables, Glasgow Warriors now hold a slight advantage over Munster Rugby in Conference A, while Leinster have cemented their home semi-final, Benetton lead the chasing pack in Conference B. The focus is narrowing on the Guinness PRO14 Final on May 25, which will take place at Celtic Park – fans can book their places now by visiting bitly.com/Glasgow2019 to get their hands on the best seats. Returning Grand Slam heroes battle it out at the Liberty Stadium in the shape of Ospreys (A5) v Dragons (B7) (live on Premier Sports 1 and eir Sport 2, 15:00). Dragons are playing for pride whilst Ospreys need both Connacht and Cardiff Blues to falter to have a chance of joining Munster and Glasgow in the knockout stages. 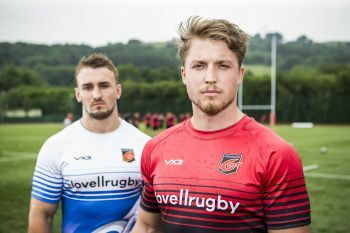 There was just a single point in 45 between the two sides at the Dragons’ home on New Year’s Eve’s Eve, many of South Wales’ rugby fans hope for an equally enthralling match-up this Saturday. Overall Guinness PRO14 head to head record: Played 31, Ospreys won 21, Dragons won 10. Ospreys Rugby have slipped to six straight defeats in all tournaments since their 20-11 victory at home to Cardiff Blues in round 13 of the Guinness PRO14. Ospreys lost to Munster 13-19 in their most recent Championship fixture at Liberty Stadium but have not lost successive matches at the venue in the tournament since October 2017, when Scarlets became the latest Welsh region to win at the venue. Dragons are still without a win in the Guinness PRO14 in 2019 with their most recent victory being by a single point over Ospreys at Rodney Parade on 30 December. Dragons have not won away from home in the Championship since a victory in Treviso in March 2015, whilst they have not beaten a fellow Welsh region on their own turf since a trip to the Arms Park at Christmas 2014. Dragons have already beaten Ospreys in round 12 this season but have not achieved a season’s double over them since 2010/11, on the only previous occasion they were victorious at Liberty Stadium. The weekend kicks off with another Welsh derby on Friday night with a triple header of action most noticeably involving Cardiff Blues (A4) hosting Scarlets (B4) at Arms Park in an all-Welsh cross-conference clash (live on Premier Sports 1 and eir Sport 2, 19:35). Scarlets are up 20-11 in previous meetings between these two fourth places sides and have also outscored the Blues in the Guinness PRO14 this year. Yet their most recent meeting, in the Christmas to New Year period certainly was Blue, Cardiff prevailing 34-5 at the Scarlets home ground. Both sides have won their most recent two matches whilst losing the preceding match heading into this one. If Scarlets lose, their challenge for the third qualification spot in Conference B is effectively over, whilst the Blues can just about afford to lose as they’re currently level on points with third place Connacht-neither of who have a good chance of catching Munster in second. Unbeaten in eight, Benetton Rugby (B2) travel to Galway’s Sportsground to face Connacht (A3) in a key battle across the conferences (live on Free Sports, eir Sport 1, DAZN and TG4, 19:35). The Treviso-based side have historically lost more than they have won (10-4) vs Connacht, but their dazzling recent form makes them arguably favourites for this one, despite it being played in the much chillier West of Ireland. Connacht smashed the Ospreys last time out but were downed by Glasgow Warriors the match beforehand and have a lot of ground to make up on their South-West Ireland rivals Munster, 11 points clear in second. Another 19.35 Friday night kick off sees Edinburgh (B5) face Leinster (B1) at Murrayfield (live on Premier Sports 1, eir Sport 1, 19:35). Edinburgh are aiming to regain momentum in Conference B. Having won three on the trot over the Christmas and New Year period, the Warriors have won just one in four since, most recently losing to the up and coming, ever improving Benetton. Edinburgh have it all to play for against a Leinster side who triumphed 31-7 in their last meeting and have not yet lost in the new year.The Saturday tea time game sees Ulster (B3) take on Isuzu Southern Kings (B6) at Kingspan Stadium (Premier Sports 1, eir Sport 2, Super Sport CSN 17:30). The Kings have never beaten the Ulstermen in three previous meetings, the Irish side could do with this record continuing as they aim to catch Benetton in their close battle for the home quarter-final spot in Conference B. Ulster have not lost in four whilst the Southern Kings have not won in four. Glasgow Warriors (A1) play Toyota Cheetahs (A6) at Scotstoun with Munster breathing down their neck three points behind in Conference A (Premier Sports 1, eir Sport 2, Super Sport 1 & CSN, 19.45). The only side below Cheetahs in the table, Zebre, have exactly half their points tally at this stage. So, whilst little danger of being caught, a late run from the Bloemfontein side could take them above Ospreys to a more respectable fifth placed finish come the end of the Championship season in the last weekend of April. Similar to Ulster’s record against the other South African side (the Kings), the Cheetahs have never beaten the Warriors in their three meetings, Glasgow prevailing 52-24 in the Southern Hemisphere last time they met. Zebre (A7) travel to Thomond Park Munster (A2) hoping to end the longest one-sided head to head record in the Guinness PRO14 (Premier Sports 2, eir Sport 1, TG4, DAZN, 19:45). Munster lost a tight affair at the home of the Scarlets 10-6 last time out, but are still well set to challenge Glasgow right to the wire for Conference A top spot. Zebre are merely playing for pride having not won since beating Edinburgh 34-16 in October in one of just three victories all season for the Parma-based side.